Most people know that BitTorrent is far from anonymous, but seeing all your recent downloads listed on a public website is still quite a shock. 'I Know What You Download' says it does exactly that, and also helps people to uncover the torrenting habits of friends with a nifty spy tool. The public nature of people’s sharing habits was highlighted a few years ago by Youhavedownloaded.com, which has since been closed since. However, a similar service that cropped up recently is perhaps even more scary. 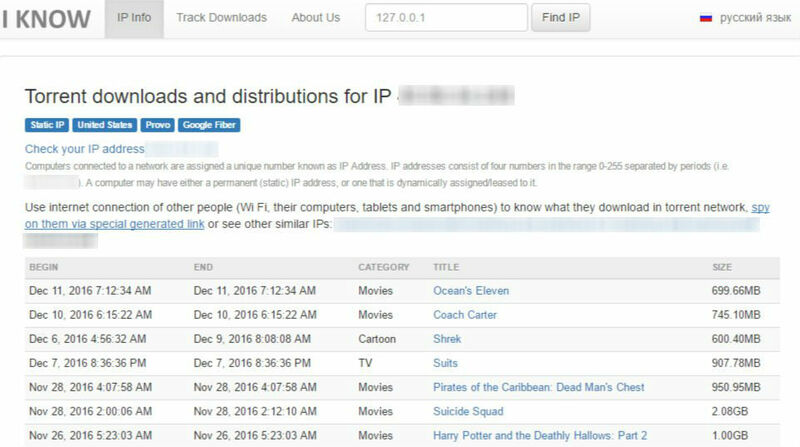 ‘I Know What You Download‘ monitors torrent traffic around the clock and makes everything public. This means that you can see what information they store on the IP-address you currently have. The site currently has information on 460,000 torrents in its database plus 70 million unique IP-addresses captured during the last month alone. This makes it much larger than its predecessor. If checking out your ‘own’ downloads isn’t enough, the site also helps people to check what others have shared. Just enter any IP-address in the search box and you’re good to go. Below, for example, we have a list of recent downloads shared by a random Google Fiber customer in Provo, Utah. In addition, the site offers a nifty spy tool where you can see what your friends are downloading, without knowing their IP-address. If someone clicks on a link you send them, their alleged download history shows up immediately, without the IP-address being exposed. 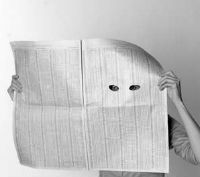 TorrentFreak got in touch with the people behind the site to find out more about this monitoring and spying service. The company informed us that the site helps to showcase their abilities to the various outfits they work with, including copyright holders. “We’ve set up the site for promotional purposes and as a demonstration of our capabilities,” Marketing director Andrey Rogov says. The company offers API access to its data for interested parties and can also provide TCP dumps as extra proof that downloaded content is linked to a certain IP-address. Of course, not everyone likes to see their information exposed on the site, especially if they haven’t downloaded content themselves. However, Rogov says that they generally don’t respond to removal requests from the public. They do, in some cases, help individuals to remove their own content from public view if it’s being shared without permission. And they also assist organizations to understand how their network is used to pirate content. “For example, we received a letter from a girl whose sexually explicit video had appeared on the Internet and had been widely spread over torrents sites. We helped her to remove public access to this content. “We also respond to inquiries from some organizations. For example, Northeastern University asked us about torrent downloads from their IP-addresses,” Rogov explains. For the public at large, however, the site should mainly be a reminder of how public BitTorrent is, and that everything you share is open for others to see. Notes: As with all monitoring tools, the service probably isn’t always 100% accurate. For those who have dynamic IP-addresses the service might also show content that someone else has downloaded. VPN users will also notice a long list of downloads that are not theirs.